Today we honored our professional team of women (all 9 of us) at Creative Surfaces with a ladies luncheon at Minnehaha Country Club. 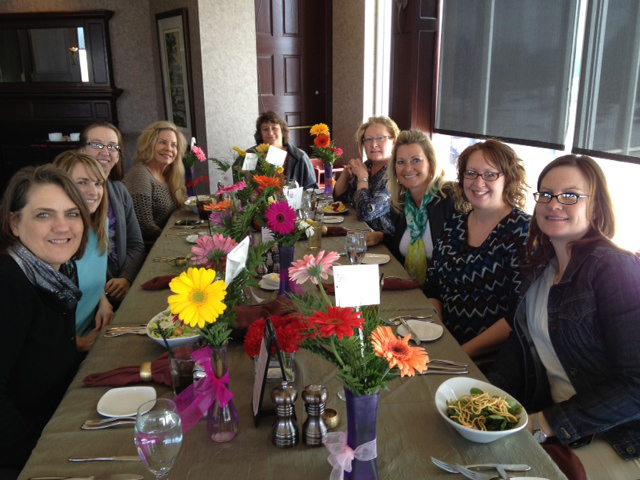 All of the ladies enjoyed this time together away from the office and took home a small arrangement of flowers. “Thanks again to Bonnie, Jamie, Heather, Joan, Dori, Lynn, Denise, Amanda, and Sarah for being a part of the Creative Surfaces team. We appreciate you and all you’ve brought to our organization and in building our success”.